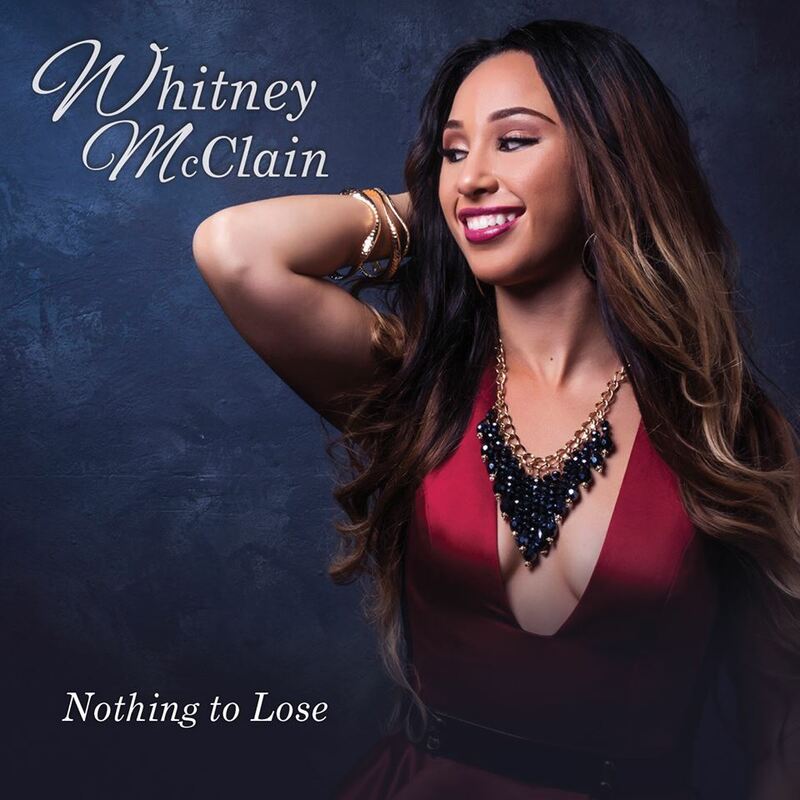 Whitney McClain | Nothing to Lose EP - TheUrbanMusicScene.com | Music Reviews! There is no question that Portland, Oregon has established a healthy music community outside the city walls, recently represented by the eclectic jazz vocalist/musician Esperanza Spalding. That aside, the urban scene in the Rose City for the most part remains under the nationwide radar. At one time, back in the day, the funk band Pleasure (led by Marlon McClain) made their mark on the top 50 R&B Album Charts for about a decade from the mid-seventies and a decade later, R&B/dance act Nu Shooz twice hit the top 3 on the Billboard 100 with “Point of No Return” and “I Can’t Wait.” Now building their credibility as an urban music hot-spot with Liv Warfield, Jarrod Lawson, and Tahirah Memory, another voice joins this list who are breaking through into the national limelight. Keeping it in the family, Marlon McClain’s niece, Whitney McClain, stirred attention with “Bombs Away,” drawing over one million views on YouTube. Two years removed from that video, the Portland-born vocalist/songwriter releases her 5-track debut EP, Nothing to Lose, with production/songwriting assistance by Mauli B., who earned a Grammy Award in 2006 for One Voice with Gladys Knight & Saints Unified Voices. McClain’s influences of Amy Winehouse and Beyoncé play a key ingredient to her therapeutic perspective regarding live and love. Though she is not quite the powerhouse that many R&B stylists thrive upon, McClain’s voice knows how to shape every song without leaving an excess emotional aftertaste. The YouTube sensation, “Bombs Away,” that features a retro fashion theme, drips with sixties Motown sway about calmly analyzing the makings a manipulative relationship; “You took your time taking me down/All you going to do is hurt me/I stick around like I deserve it.” “Heart Games,” a classic breakup song that pulls no punches to an ex, exerts a bit more of her power chops with an inviting mix of R&B/pop. The beats remain subdued through finger snapping beats and shimmering keyboards. There’s a break from the intense romantic moments with “Sober,” another Motown’esque ode about being giddy in love: “Got a taste that stays in my mind.” Bouncy sixties soul strikes again with “Terminal Love,” that echoes the sentiment of “Sober,” which illustrates Whitney’s comic side for the video version. Finally, the lone ballad in the title track contemplates a relationship gone sour, where McClain effectively communicates her pain with a matter-of-fact tone and stern facial expressions throughout the accompanying studio performance video. Considering all the unique vocal talent and strong performance presence that McClain possesses at only age 22, just imagine what possibilities are still in store if McClain continues to be surrounded by a complimentary supporting team of producers like Mauli B., and such, that will stretch her skills even further. The Rose City should be very proud of what she has accomplished so far. Four and three quarter stars out of five.